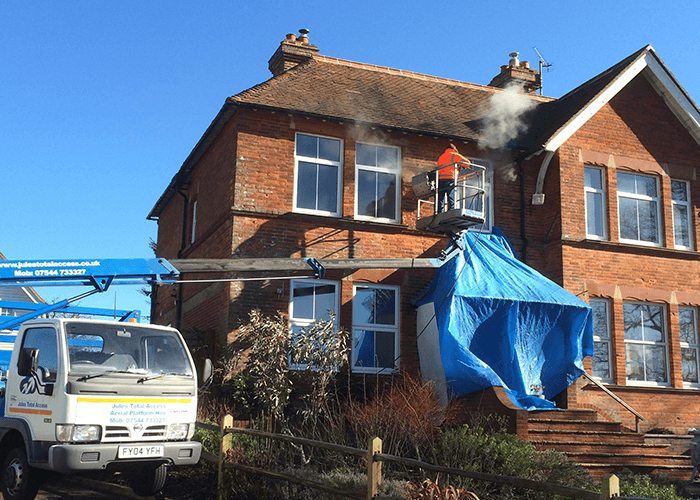 The job took two days to complete and we worked with a company called Heritage Blast Cleaning to complete the job. 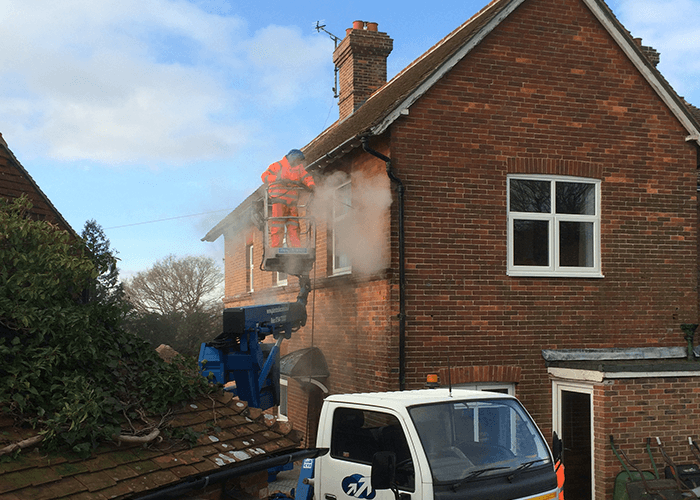 Jules Total Access supplied a cherry picker and one of our fully trained operators so the company could clean the brick work using steam cleaning. 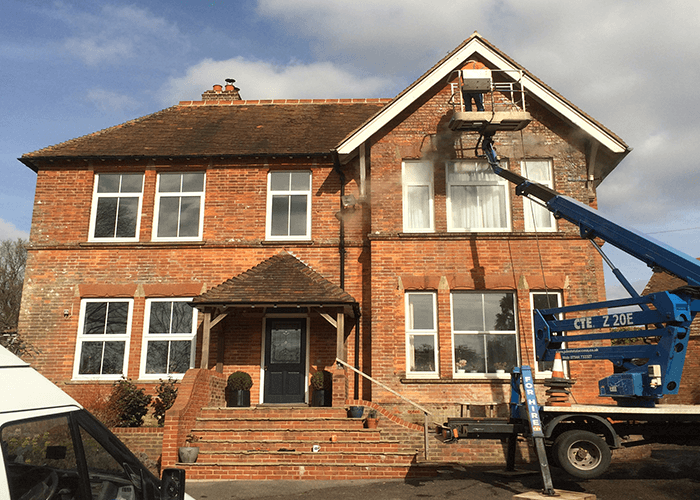 It was a really effective method for cleaning the bricks and the finish was extremely professional.